Every now and then, you ran across a product that's 1000% absolutely perfect for it's purpose. 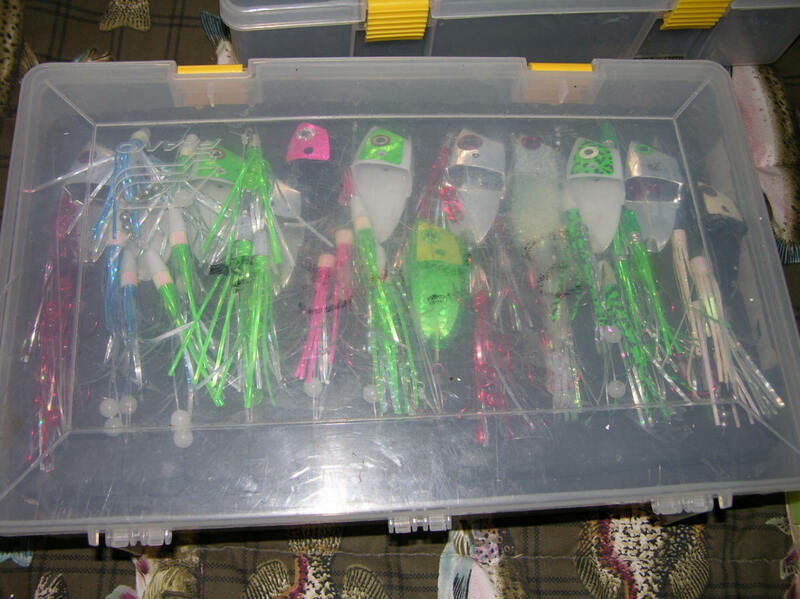 This is exactly what happened when Chip Cartwright from Wolverine Tackle (Silver Streak spoons) introduced to these storage cases at the 2007 Flint Steelheaders Fishing Show in Birch Run, MI. 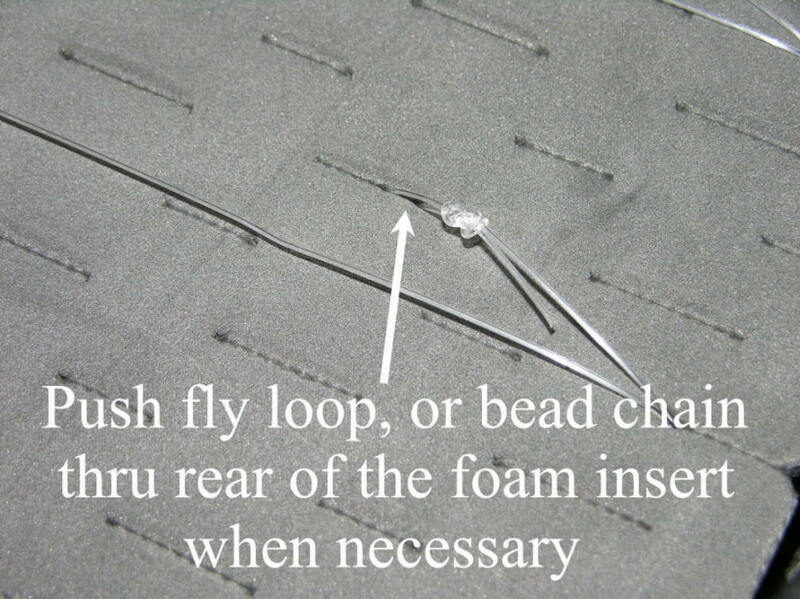 Load the foam inserts as pictured. 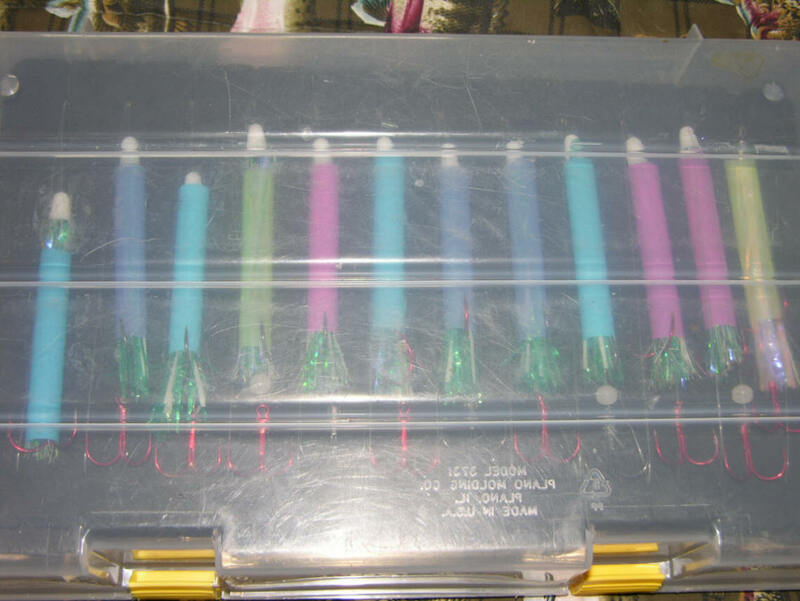 Then place the bottom inserts face down and the top inserts goes face up. 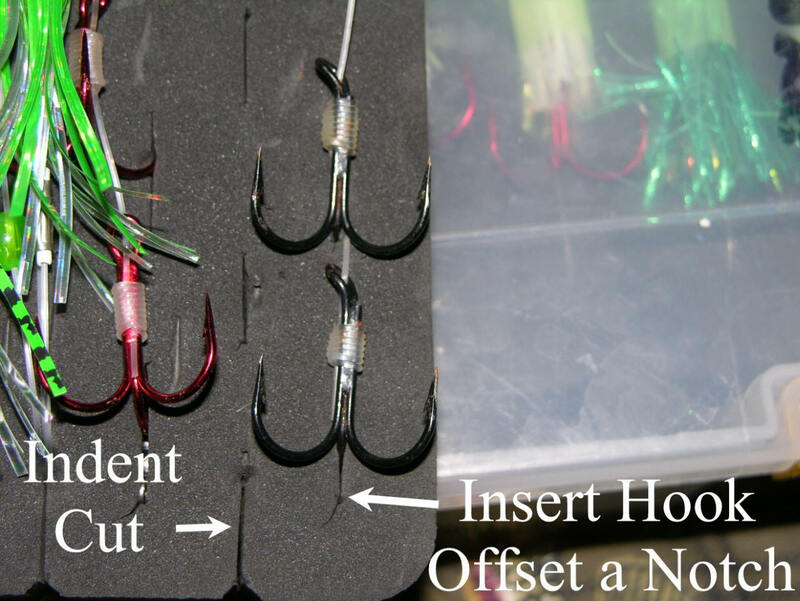 This no hooks are touching and either foam insert/leader holder can be accessed easily. 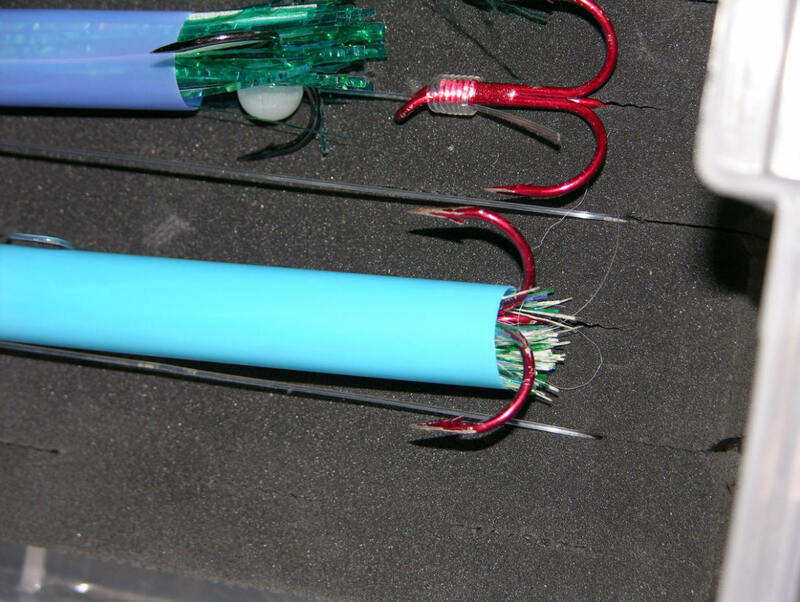 Keeping in mind all hooks must be loaded in the normal face up position and on the same side as the meat heads. 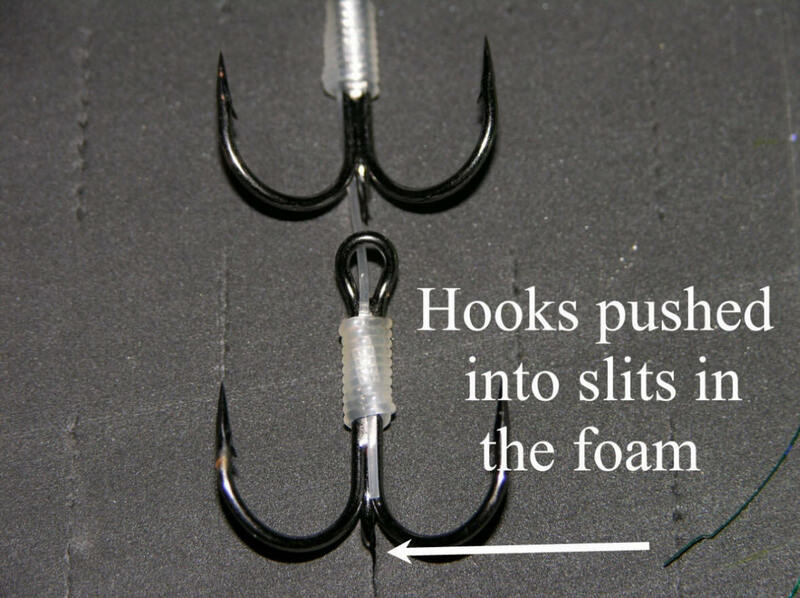 Just press the hooks into the foam at a slight angle, then it's a straight wrap to tame the leader on the meat rig. 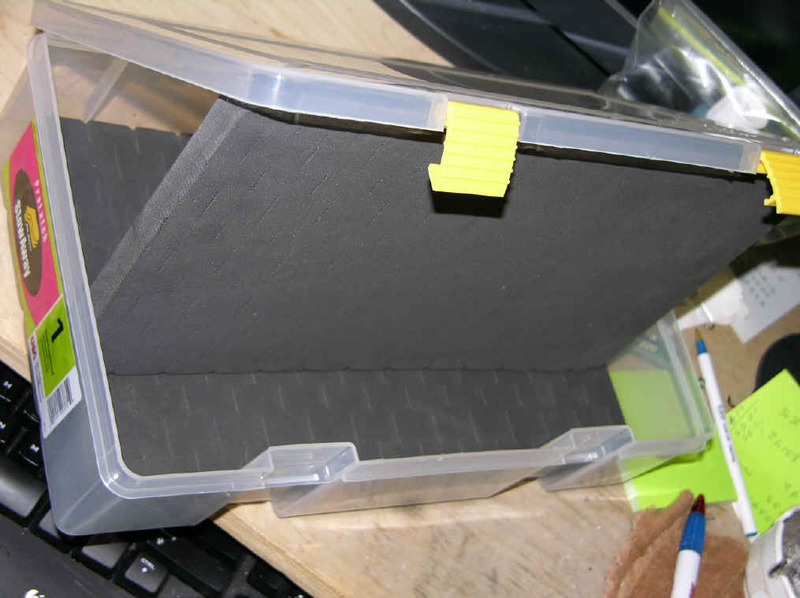 Take your time loading and the rewards will far exceed what I charge at the webstore for this awesome storage solution. Please make use of the photos. Showing is a lot easier than explaining. 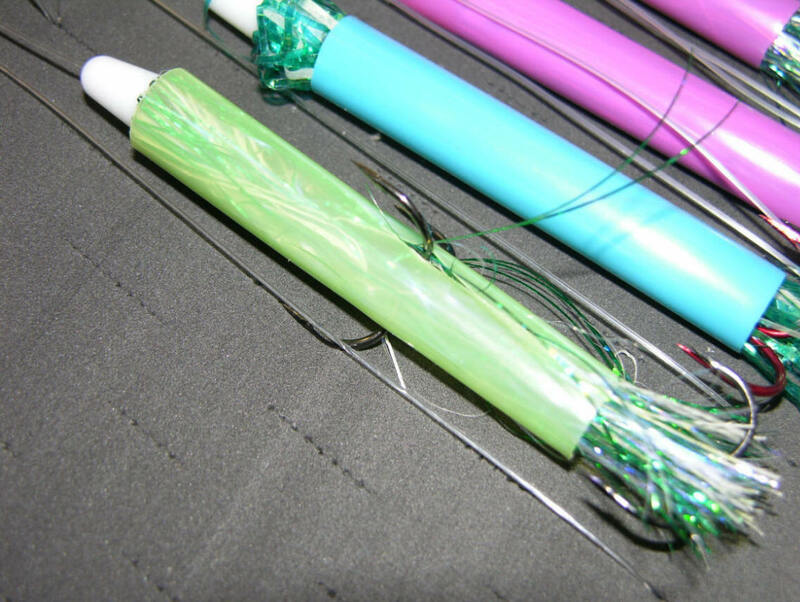 Just remember, all hooks need to be one side of the foam. Then the bottom inserts is place face down and the top one goes face up. This way you'll see thru the semi opaque box. I've used these boxes since 2007 and they will take a beating. Do not keep these boxes for extended periods of time in full sun. 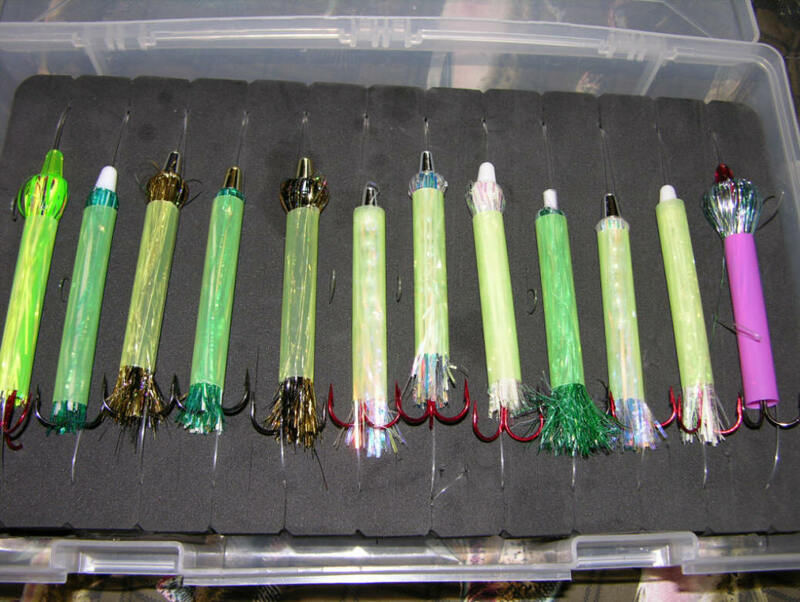 The dark gray inserts will draw heat and curl the glow Mylar on meat rigs. Take care to keep your glow stuff out of full sun as much as possible will ensure long life. I've kept my boxes in the cuddy where temps can exceed a 100 degrees with no issues on any Mylar, whether it was a meat rig, or a fly. 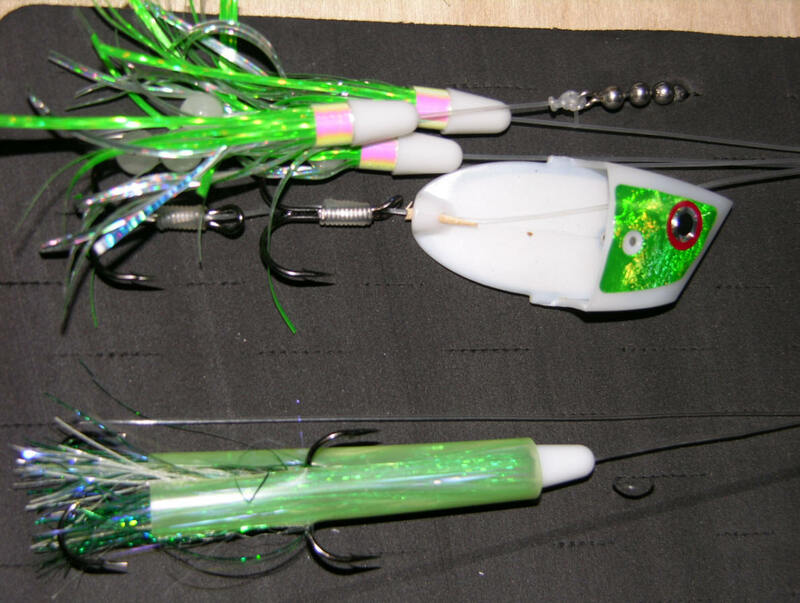 Incidentally, full sun is hard on any, ...and all glow products/lures. 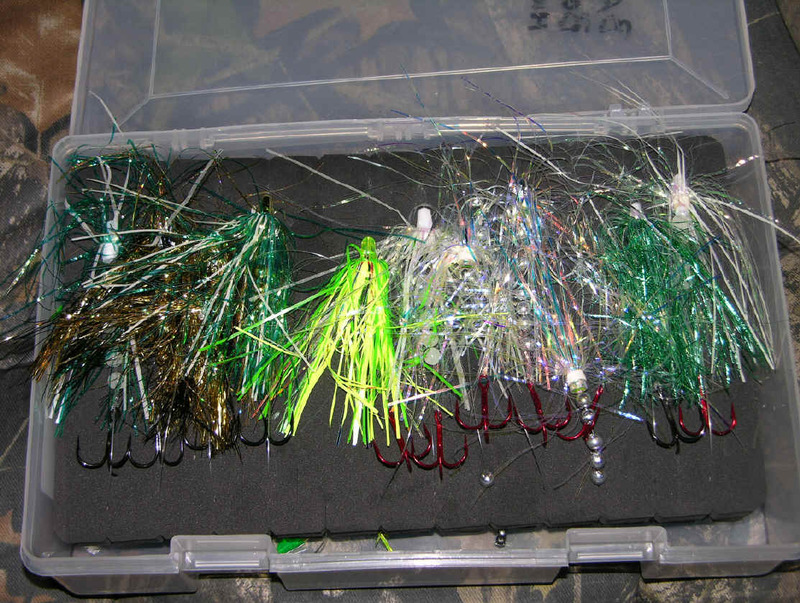 Included with every storage box is the free protector sleeves that slide down of the stands on Mylar in today's popular trolling flies. 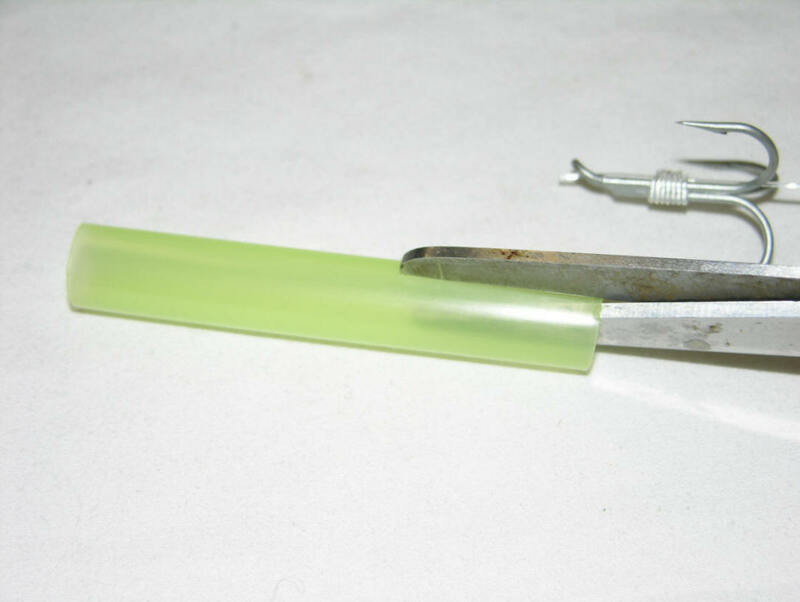 These tubes prevent the Mylar from becoming a tangled wad and makes removing flies, or storing them on helluva a lot easier. 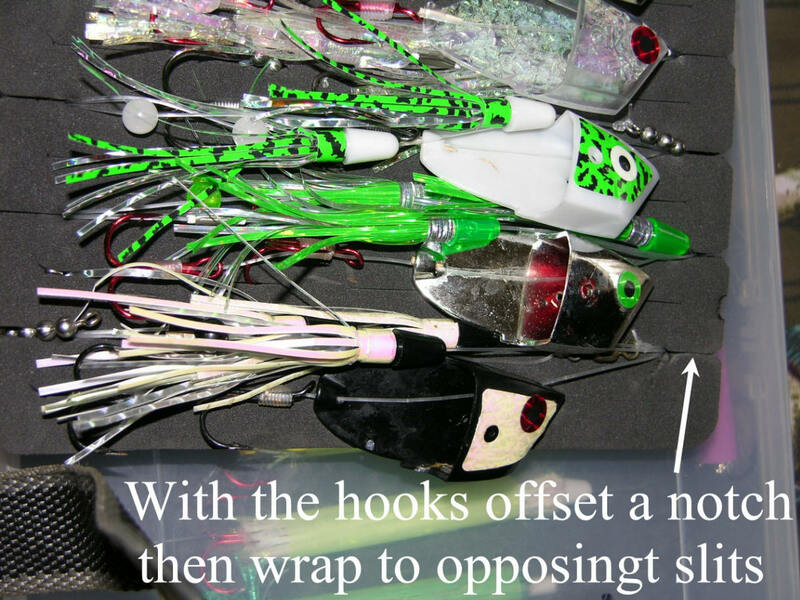 Prior to coming up with this original idea, it was a fight to remove flies that meant stands were tangled and some got broke off. 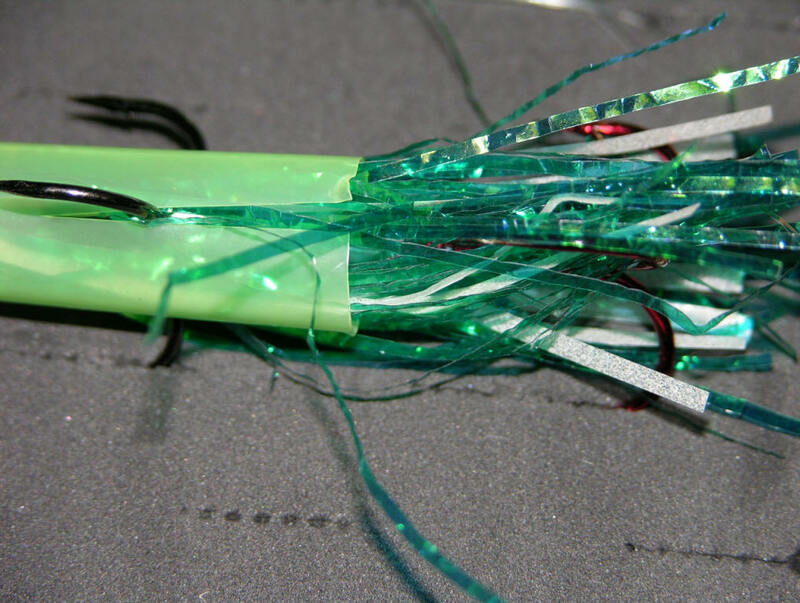 Over time, this would render a costly fly useless. Fully tested, so there's no interaction with the Mylar, or the protector tubes. 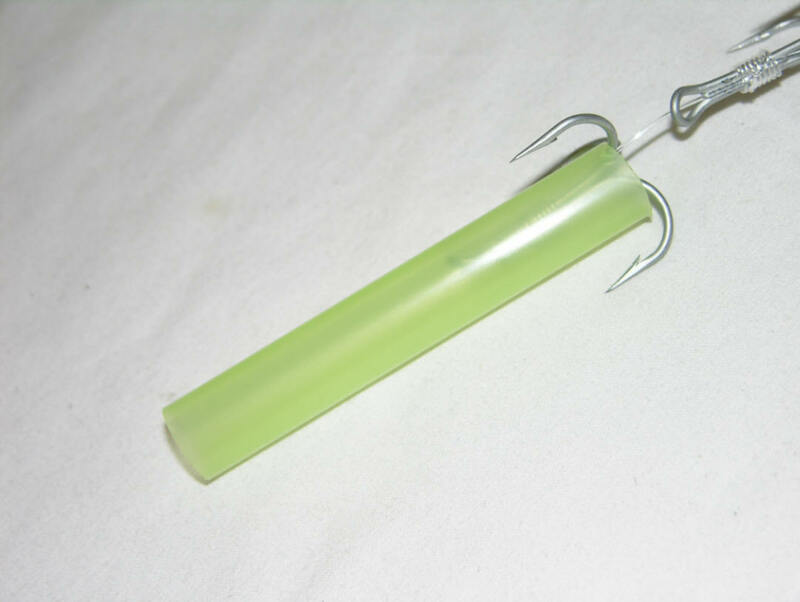 So, melting plastics fusing together will not happen like with some soft plastic baits. 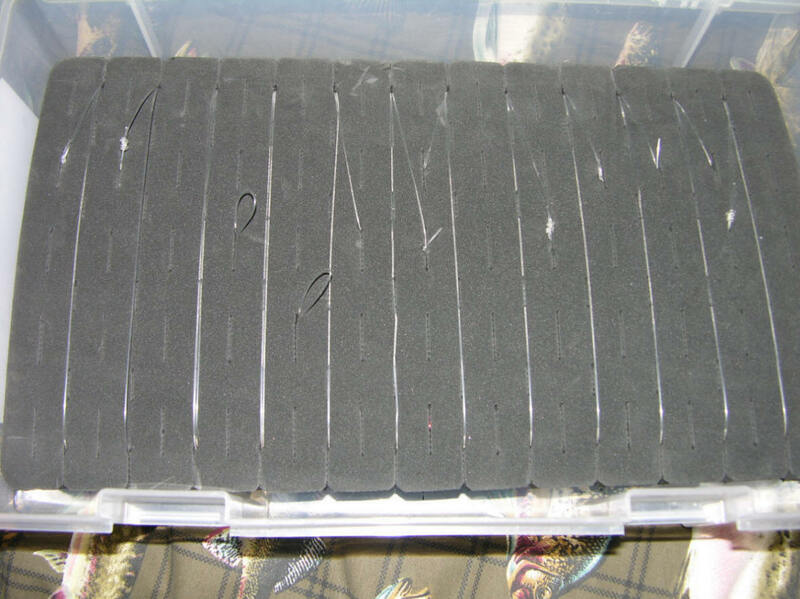 I have not tested the foam inserts on squids yet. 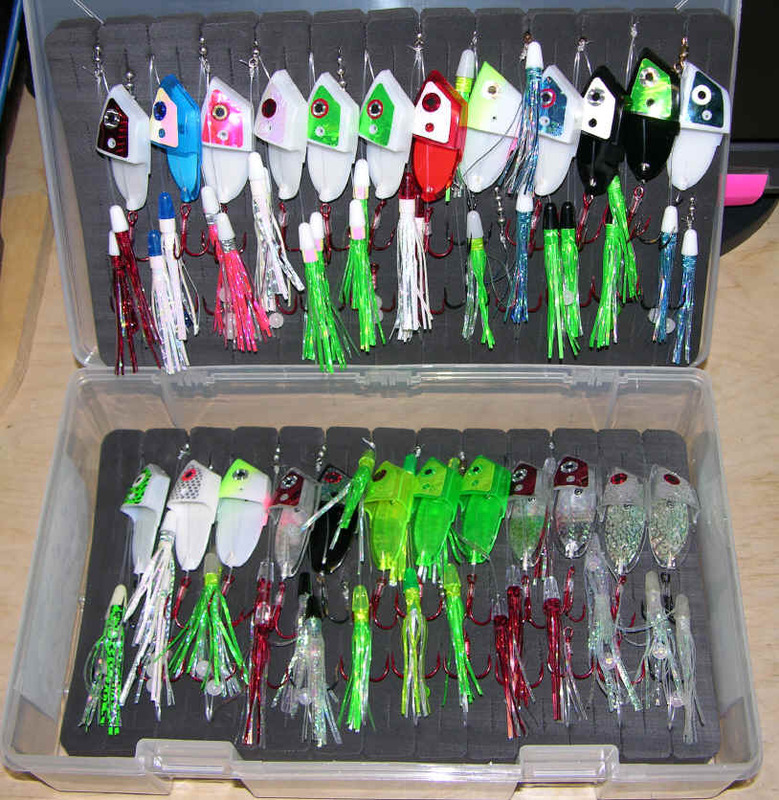 Success on the water begins with being organized!